purplecats corner: Two Blog awards!! This the blogaward that Juli-Ann kindly gave me., here on the left. 4. Leave a message on their blog, letting them know they are "One Lovely Blog"! 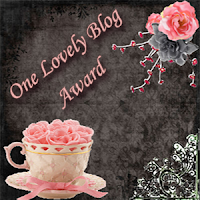 Ok so here are the lovely blogs whom I am nominating for this award, they are all well worth a visit! Nancy who has a wonderful booklet out for sale. Audrey who does wonderful folk style art. Sharon who happens to have the same surname as me! Sandy for her loving heart and introducing me to some great music! Jenn for sharing herself and her art. This award states: This blog invests and believes the PROXIMITY- nearness in space, time and relationships. These blogs are exceedingly charming. 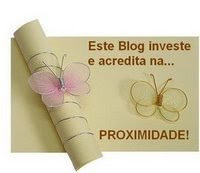 These kind bloggers aim to find and be friends, they are not interested in prizes or self-aggrandizement. Our hope is that when the ribbons of these prizes are cut, even more friendships are propagated. Please give more attention to these artists. Dar as she has been such an encourager to me-love ya Dar! Sandy who shares her world with us. Liz who shares her art. Gosh, I didnt' mean to be so slow about getting over to say Hi and thanks for the award. And are you saying we are kin? How cool it that.